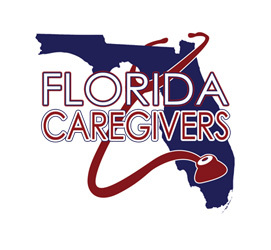 We have been using Florida Caregivers, Inc. to care for our 88 year old mother for the last 6 months. The caregivers have been professional, caring and diligent in the care they have provided to our mother. Their responsibilities include driving and accompanying my mother to all her doctor's and physical therapy appointments, managing her medications, grocery shopping, some meal preparation, light cleaning and just being a companion to our mother. My brother, sister and I all live across the country from our mother and we really rely on Florida Caregivers, Inc to provide excellent care. Katie and Colleen (the owners) have been responsive to any and all questions and needs we have had. They have been flexible with scheduling when our mother's needs have changed. They are able to react quickly when problems arise and have been able to provide unscheduled coverage when necessary for our mother. On April 6, 2014 my wife of 62 years passed away. Now alone at age 85 I saw little future for me until I contacted Florida Caregivers as advised by my wife's nurse at the Health Care Center. Since then I have this secure feeling they are just a call away. To date I do require some house cleaning and conversation, and on occasion, someone to have breakfast with. With the help of Mrs. Katie Tyre, the Administrator of Florida Caregivers we were able to remove most of my wife's personal things that did cause me grief to see every day... I am able to help myself now but I may require full time care at some time in the future… God Bless America & God Bless Katie at Florida Caregivers.